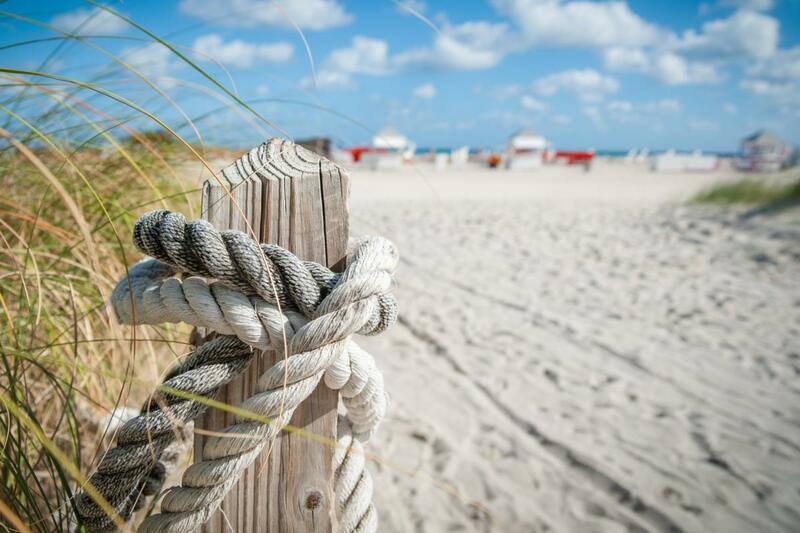 Taking a well-deserved and much-needed beach day or weekend? Head over to Longboat Key for a time that will not disappoint! From exploring islands to sipping piña coladas at a tiki bar, there's plenty of things to do in Longboat Key. If you're coming from out of town, stay at The Beach on Longboat Key Hotel. Right on the beach, this resort actually gives you access to a private part of the beach, making it a nice location for you to unwind without the crowds. If you don't feel like getting sandy but still want to take a dip, they have an outdoor heated pool as well. The rooms come with kitchens, WiFi, DVD players, and flat screens to enjoy while you're not on the beach. One of the fun things to do in Longboat Key is checking out Beer Can Island, a small sand bar with gorgeous, powder-like, white sand. This is the perfect place to bring some hammocks, chairs, and blankets to relax as well as have a nice picnic. Not as packed as most beaches, the island is mainly comprised of driftwood, making it a scenic getaway! The Lazy Lobster of Longboat is great for a midday break, and they have patio dining so you can continue to enjoy the outdoors. Their lunch runs from 11:30 a.m. until 3:00 p.m., and the menu consists of outstanding seafood dishes, chicken and red meat, salads and soups, and a list of desserts. The nautical theme at The Lazy Lobster goes along perfectly with its beach location and seafood menu. Another fun thing to do in Longboat Key is renting a boat at Cannons Marina. You can rent boats for half days, full days, or multiple days, and the marina has discounts available as well. You must be 25 years and older to rent, and fuel and taxes are an additional costs to the rental. There are many different boats to choose from, so if you're feeling adventurous and want to experience Longboat Key, head over to their website and rent a your own boat! Lido Key Tiki Bar is the ideal spot to grab delicious drinks by the beach. Sip on your favorite cocktail while enjoying views of the water or walk right down to the beach from this open-air tropical beach bar. The sunsets here are incredible, so stop by Lido Key Tiki Bar at the end of the day to see a famous Florida sunset! Seeing this natural phenomenon definitely tops the list of things to do in Longboat Key. For more things to do in the Longboat Key area, register on 941area and connect to everything in Sarasota and Bradenton.